Thousands of Christians flocked to the Church of the Holy Sepulchre, located in the Old City of Jerusalem, to participate in an ancient fire ceremony which takes place at what is believed to be the tomb of Jesus. The ceremony dates back at least 1,200 years. Christian Orthodox tradition holds that the mysterious flame spontaneously appears from the tomb annually on Holy Saturday; the details of the flame’s generation are kept secret. The Church of the Holy Sepulchre, which is, according to Christian belief, the location of Jesus’ crucifixion and resurrection, was packed full of celebrants during the ceremony. 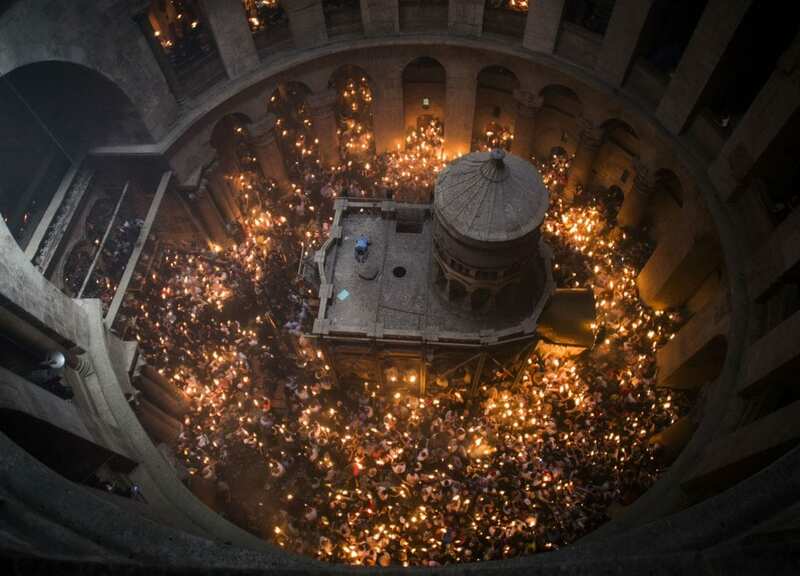 Eastern Orthodox clerics entered the Edicule, a small chamber marking the tomb of Jesus, and emerged with candles lit from the “holy fire”, which was then distributed to the thousands of worshippers. The flame even made its way to Russia, home to a large population of Orthodox Christians, JNi Media reported. A special aircraft carried the fire from Jerusalem to Moscow in time for Sunday’s Easter celebrations (Eastern Orthodoxy follows an older calendar than other branches of Christianity and celebrates Easter on a later date). From Moscow, the holy fire will travel through Russia to reach worshippers around the country. Security around the church was tight, with about 3,500 Israeli police deployed for the event. While the Old City was relatively calm over the holiday of Passover, which ended Saturday night, the wave of terror which swept over Israel this fall and winter has not yet died down completely, as evidenced by the suicide bombing of a Jerusalem bus earlier in April. Abra Forman is the Editor of Breaking Israel News. A native New Yorker, she moved to Israel in 2011 after participating in the inspiring program Livnot and experiencing kibbutz life in the North. Abra completed a B.A. in English Literature at Binghamton University in 2009. 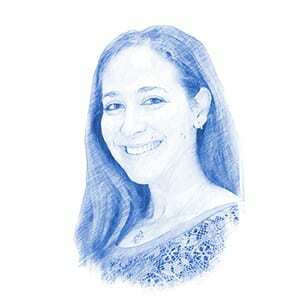 After making aliyah, she studied Hebrew at Hadassah College and then earned a Master's degree, also in English Literature, from Hebrew University in Jerusalem, where she has lived for four years. She can be reached by email.